Stuck for an idea for someone you forgot or for a reader friend who’d love a fun read over the holidays? Amazon makes it easy to gift these ebooks with your heartfelt message attached. 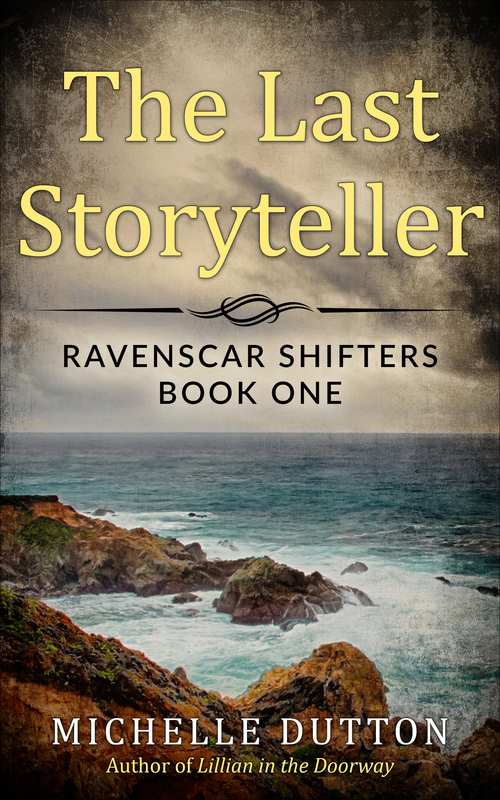 How about a 99 cent paranormal novelette The Last Storyteller that is the first book in the Ravenscar shifters series? It’s a second chance sweet romance of raven shifters and a mystery. Miri returns to her small California home town to investigate her sister’s death. Fifteen years earlier, she’d fled when Elise claimed Miri’s fiancé was the father of her baby. Did her sister die in a storm or had she committed suicide. Or had someone killed her over the old scandal? Or maybe your mystery fan would prefer the first novella in the Abishag mystery quartet? 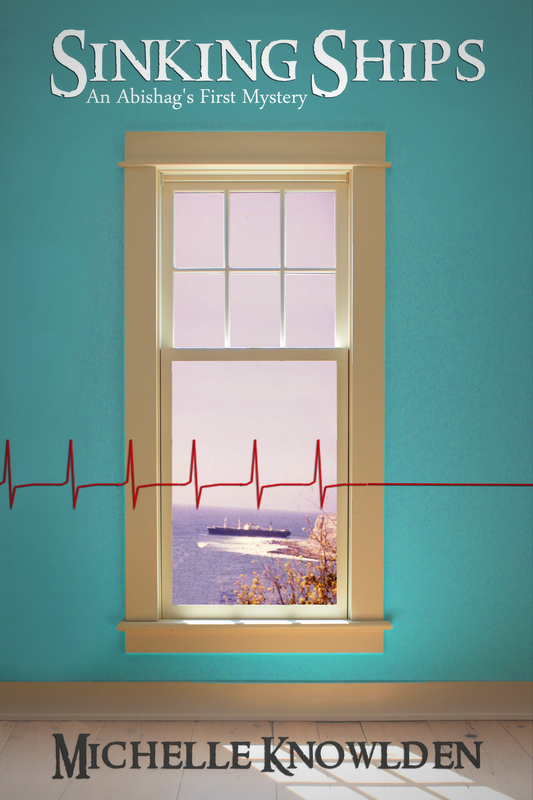 In Sinking Ships, college student marries a vegetative man in hospice and finds his hospice aide murdered on her wedding night. Set in Palos Verdes, California, it’s a cozy mystery for the young at heart. Another steal at 99 cents. The Deluded Detective series features an ex-science teacher now private detective who searches for missing children. In the first novella Jack Fell Down, Pam finds an unexpected connection between the accident that disabled her and the hallucination of a missing boy. Also always available for 99 cents. Looking for a quick read for a friend or family member who has no time read? 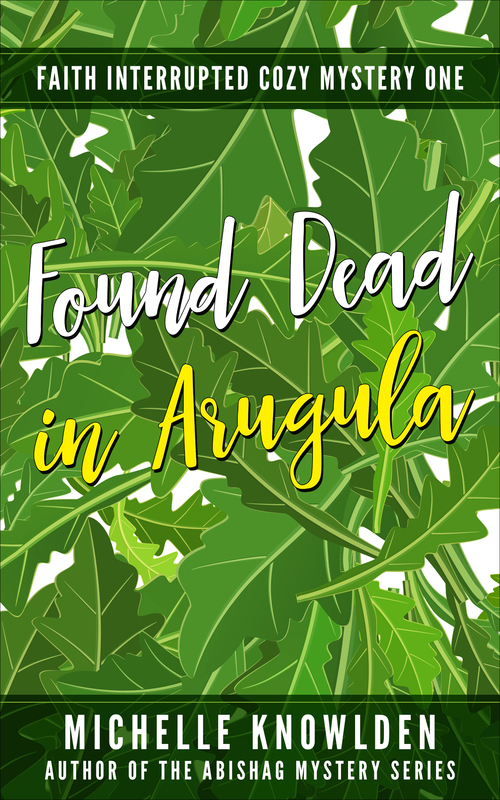 Found Dead in Arugula, a short cozy mystery that you can read during lunch is the ticket! A Quaker widow who finds a neighbor dead in her garden is accused of his murder. 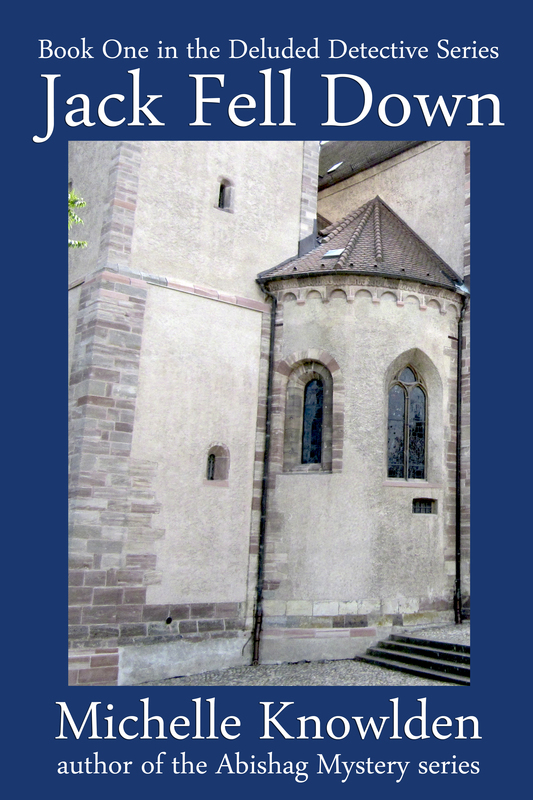 Chock-full of lost love and good eats, it is the first story in the Faith Interrupted series. And now for the second book in the Ravenscar Shifters series is available for pre-order, a full–length novel! Delivery on 22 December. Price will increase on a random day between Christmas and 03 January 2019, so grab it now. Michelle Dutton is the pen name I use for my romance line. For anyone who has visited California’s coastline, you might recognize this spot. 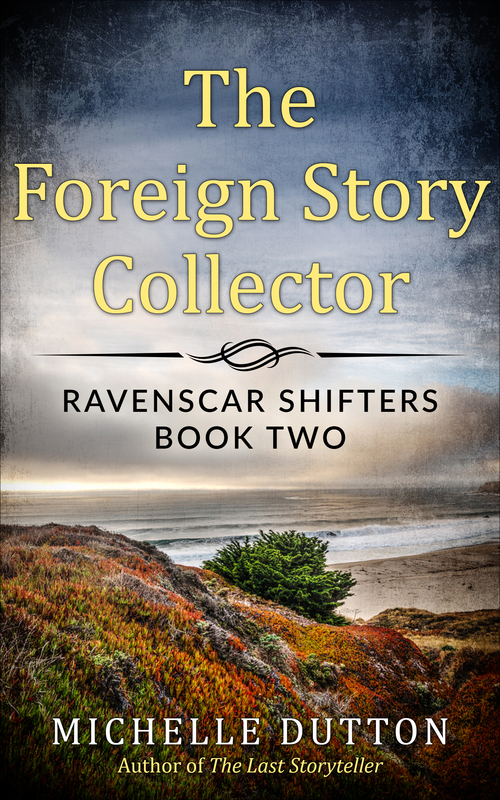 The Foreign Story Collector takes place in central California in a raven shapeshifter community called Ravenscar that stretches from the beach to the Sierra mountains. Some of the action takes place on an island used for military defense during WWII. A story collector working among raven shapeshifters? It’s got disaster all over it. In spite of the sweet complication of a handsome widower, she shouldn’t have been surprised when it led to her arrest. The Foreign Story Collector can be pre-ordered now and will be released on December 22. The price will increase after Christmas to what’s reasonable for a full length novel. If you like the book(s), I hope you’ll consider leaving a review on Amazon or Good Reads. Reviews really do help the author and readers! The first book is a second chance sweet romance of raven shifters, but it’s also a mystery. Miri returns to her small California home town to find out how her sister died. Fifteen years earlier, she’d fled when her sister claimed Miri’s fiancé was the father of her baby. Did her sister die in a storm or had she committed suicide. Or had someone killed her over the old scandal? Get The Last Storyteller FREE, 20-24 November! And now for the second book, a novel! Although my November has been fraught with interruptions like four glorious days in Oceanside with family and distractions like flu shots, movies (Nutcracker and the Four Realms and Fantastic Beasts: The Crimes of Grindelwald (twice)), four USO hats last week, physical therapy, and a Timeless Melodies talk at Bowers museum, I have managed to squeeze out a few words. Drum roll please. As of Saturday night, November 17th, I reached 30,592. Woo hoo. No badge for 30K, but I proudly display my NaNoWriMo 25K emblem above. So it’s the nineteenth day, what have I done in the interim? Started a giveaway campaign. Formatted and published a second book in a paranormal series. More on that in my next blog post. Side note or a cheesy way to show pretty pictures: Oceanside was gorgeous. 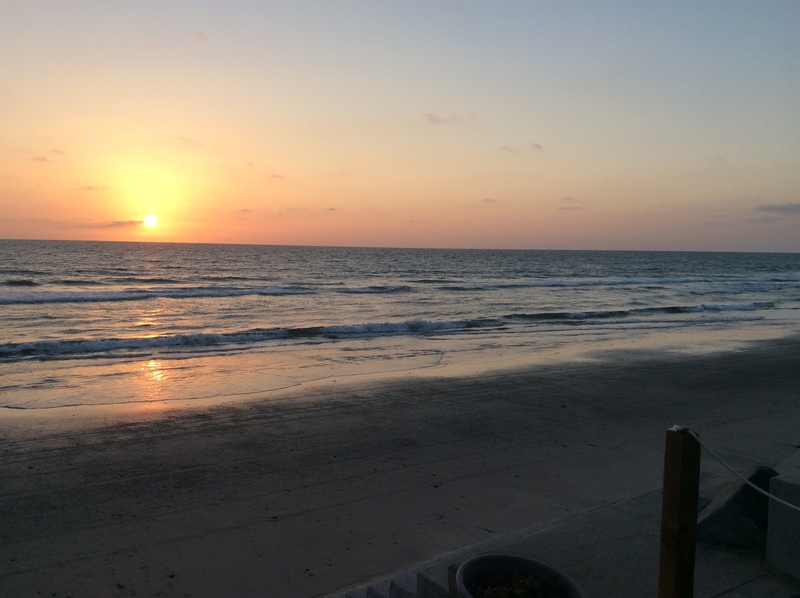 We ran outside or stood by the condo’s “wall of window” to watch the breakers crash during high tide, scrambled down rocks, steep stairs or ramps to walk long sandy beaches during low tide or just took in incredible sunsets. Two highlights of Oceanside? 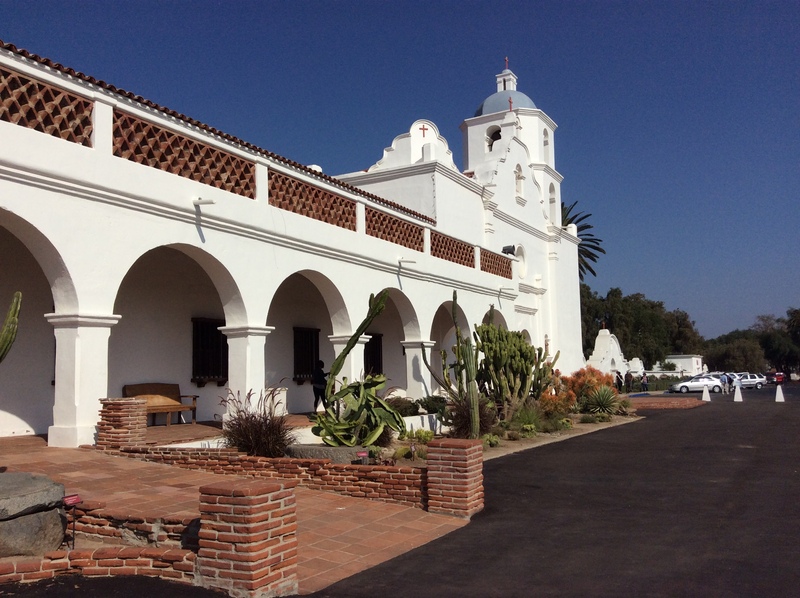 Visiting Mission San Luis Rey de Francia (shown here) and discovering Little Cakes vegan cupcakes. Must add a final note of a glorious November distraction–Alice Waters’ Philosophy of Food MasterClass was a reverent, illuminating, and delightful experience. I’m sad that it’s over. I began the class with a passion of food from the garden, an appreciation of handling veggies while cooking, and loving the taste of fresh, organic, sustainable produce, but I was open to walking new territories. My boundaries have expanded. Thank you, Alice Waters. Please share your own November distractions whether or not you’re doing NaNoWriMo. It helps knowing that I’m not alone. Watch for exciting news in tomorrow’s blog! Food alert. My plan is in place. Is yours? I’ve participated in about eleven NaNoWriMos. 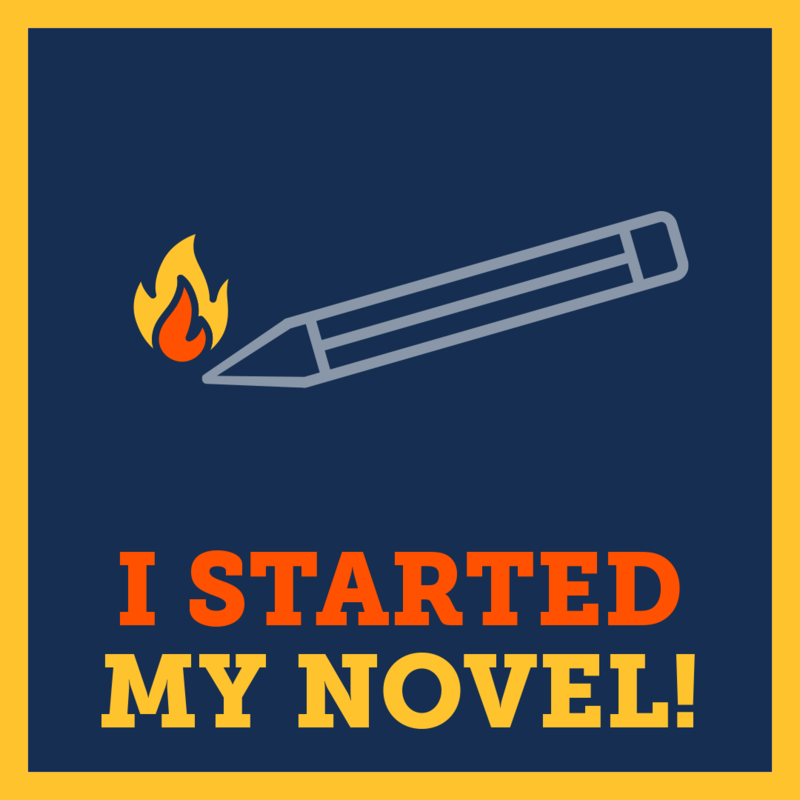 The National Novel Writing Month in November is a writing signpost for me. My compass is tuned to it. If I’m not planning for one or editing a NaNo draft, then it must be November or I’m doing a Camp NaNo. In October, I’m usually feverishly planning for NaNo and desperately finishing up other projects. This one was different. I’m recovering from the August China trip and Prescott, Arizona stay in September. Estate planning and logistics for a family trip occupy more time. I’m still resolving beta comments on the second Ravenscar shifter suspense romance novel The Foreign Story Collector and I’m doing pre-publication work: the novel’s front and back matter, designing a cover, and setting up for pre-orders. I’m using NaNoWriMo to finish projects: FSC, a vampire novella, and the third Deluded Detective book. This month it will be 50,000 words or more in 30 days. It’s almost a rule that you start November 1st with a fresh idea, a token stab at a few characters, and the barest outline possible. See the website and/or Baty’s book for more information. So what was my schedule for the first day? Exercised for twenty minutes. Fed cats. Gardened for fifteen minutes. Housework for 45 minutes. Fixed and ate breakfast while taking a Master Class. Did bills. Then cleaned up and met friends for lunch and saw the Marvel movie Venom. Loved it. Heartily recommend seeing it. Took a thirty minute walk after returning home while I finished listening to a VR Rain vampire mystery. Fixed this dinner. Watched a Buffy the Vampire episode. Finally sat down and wrote 2104 words. Now I’m ready to watch Murder on the Orient Express and loom knit a USO hat. Yeah, I’m really sweating through NaNoWriMo! My meal plan? Getting food in order so that I can concentrate on writing. Breakfast: oatmeal or a green smoothie. Fridays, I’ll pop over to Whole Foods for a vegan blueberry muffin. A large mug of hot, black coffee or tea for these crisp Autumn mornings. Lunch: slaw chickpea sandwich or a mushroom samosa or Beyond Burger or a spinach turnover or Beyond Meat Bratwurst with fruit and cutup veggies. Dinner: I’ll eat chopped salad most nights with lasagna rolls or bean tacos/pupusas or flatbread with hummus or beans/lentils and rice/quinoa bowls. Yeah, this vegan is suffering! Questions? Please leave your favorite NaNoWriMo recipes and prep plans here! After I returned from China, I dove into listening to audio books, finishing two hardbacks, and reading ebooks. September and October turned into story-drenched months with new releases and old finds. The status of the second Ravenscar shifter book? It’s still undergoing revisions midst a plethora of distractions. In my heart of hearts, I believe I can publish this novel in the next few weeks. Yes, I can. Now let’s clear my library shelves! Books I’ve finished in the last month? 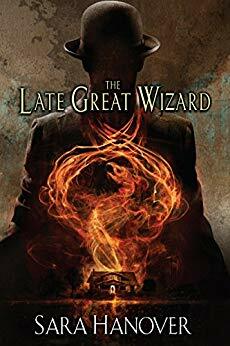 Lying in my Prescott space cocoon through the quiet dark hours of night, I listened to Sara Hanover’s The Late Great Wizard, the first book in the Wayward Mages series. What a ride! A fun urban fantasy with unexpected twists and turns that take place in secret basements and tourist spots on the eastern seaboard. With her father vanished under suspicious circumstances and her old life destroyed, Tessa Andrews is determined to pick up the pieces and forge ahead. If only their borrowed house didn’t shake and rumble as if haunted. But at least she and her mom have a roof over their heads, so her luck couldn’t be all bad, could it? 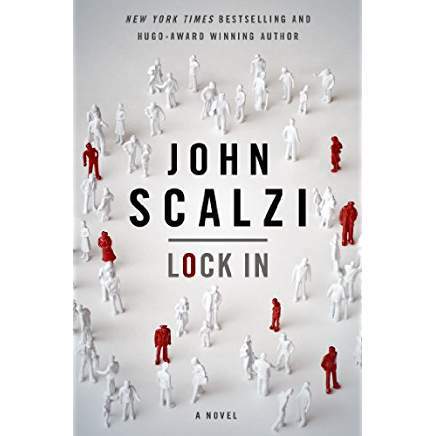 Late August I listened to John Scalzi’s Lock In (Amber Benson narrated) and was mesmerized. I’m a fangirl of his science fiction novels, military and humorous, but Lock In may be my favorite! A mystery with a social/political slant that will have you cancel dinner plans.I immediately bought the second one, Head On. I took Scalzi’s Redshirts (paperback) to China with me, but was kept too busy to read. I finished Redshirts late last month–now a book that definitively explains Star Trek reality. Last week I turned to Head On, listening to Amber Benson’s narration again. Fabulous all around. This is a phenomenal series. Instead of a book description, I’ll add this dead-on opinion. Click on the Head On link if you want to know more. 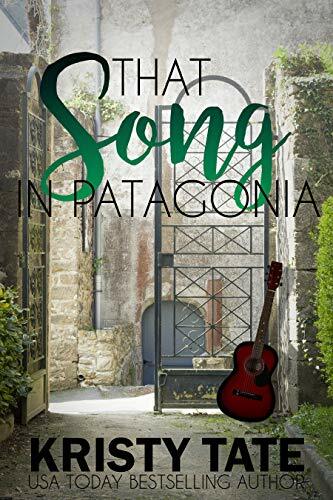 For destination romance fans, I discovered Kristy Tate’s That Song in Patagonia. I ducked out of work to escape in this satisfying romance that roamed from Boston to Uruguay, with loads of fun in between. Hey! It’s only 99 cents now. Two people with hurting hearts and unrealized dreams explore the streets of Buenos Aires and the South American countryside, and it changes them both forever. And what they find in each other is something that might just heal them both. i almost entirely buy e- or audible books because my plank library shelves are full and I’m trying to save the planet. I do buy a hardcover/analog book now and then when I must be in airplane mode or batteries are low or need to remind my corneas that not everything is backlit or volume controlled. It might take awhile to finish a book that is only read in waiting rooms or departure lounges so I get a book that is worth savoring. Margaret Robeson’s An Enchantment of Ravens was a feast I finally finished in September. 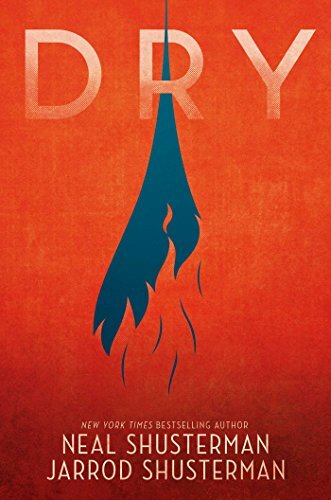 Released last week, Neal and Jarrod Shusterman’s Dry is the next meal I’ve chosen. I’m a few chapters in and already obsessed. Talk about saving the planet! This book debuted in the NY Times Bestseller’s top ten this week. 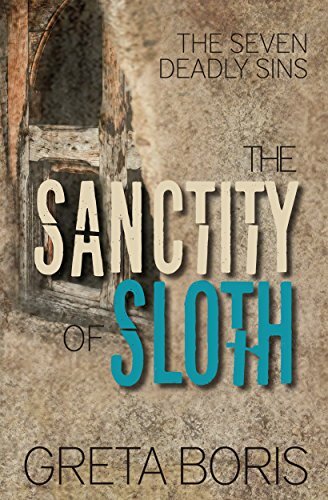 If you like your mysteries with a touch of cozy and shovelfuls of creepy, grab Greta Boris’s third book in her Deadly Sins series Sanctity of Sloth. I’m loving what I’m learning about anchorites and a body dumped on the grounds of a California mission. 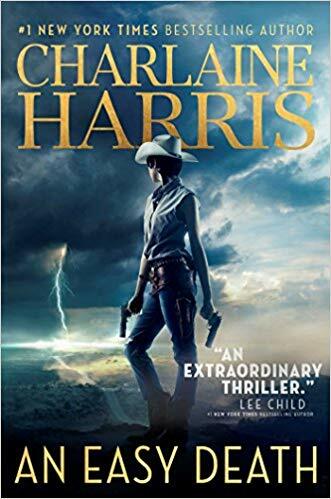 Charlaine Harris’s new series with an alternate history twist is my go-to book now for exercising. An Easy Death. When I need that extra push to do pushups or to hit the pavement for long brisk walks, this book is it. Great premise and great characters are great incentives. Set in a fractured United States, in the southwestern country now known as Texoma. A world where magic is acknowledged but mistrusted, especially by a young gunslinger named Lizbeth Rose. If you like any of these books, I hope you’ll consider leaving a review on Amazon or Good Reads. Reviews really do help authors and readers. Before I sign off, mystery writers and reader, check out DP Lyle’s radio show at Criminal Mischief. If you like forensics or need a good mystery resource, it’s a treasure. Please let me know what you’re reading and recommending in the comments. I love a great find. Happy reading and listening! I love talking about my current fave books, almost as much as I love to brag. Permit me to start with myself or scroll down to discover your next fun read. 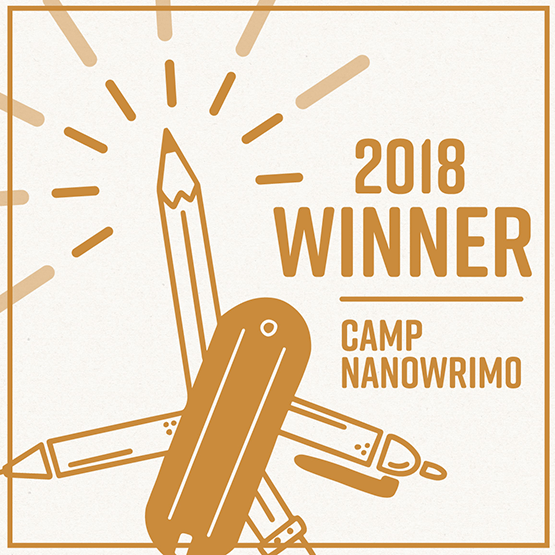 I went to Camp NaNoWriMo in July and met my goal by writing over 75,000 words. Deep editing included deleting, altering, and adding new words from my 72K manuscript. I wrote the discovery draft of the SF novel The Legend of Hero Constant seven years ago and pick it up and put it away often. This year I polished the first five pages if it in Laura Drake’s First Five Pages class and fleshed out the macro-plot and character threads in Suzanne Johnson’s class. I also gave it a new but temporary title Moon for a Hero. Pleased with the result. Hope to publish it in 2019. My August reading list includes titles I’ve finished, just started, re-reading, and one of my own. I heard that a novel I bought in 2016 is offered free now and included it too. Since I’m on a Scalzi binge, I’ll just mention that I also read his novella The Dispatcher–a cool Subterranean Press publication with eerie illustrations and narrator Zachary Quinto and The B-Team, first short in the Human Division novel. In a world shaped by what’s now known as “Haden’s syndrome,” rookie FBI agent Chris Shane is paired with veteran agent Leslie Vann. 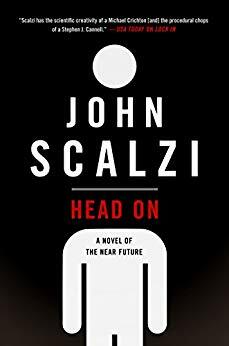 The two of them are assigned what appears to be a Haden-related murder at the Watergate Hotel, with a suspect who is an “integrator” – someone who can let the locked in borrow their bodies for a time. If the Integrator was carrying a Haden client, then naming the suspect for the murder becomes that much more complicated. 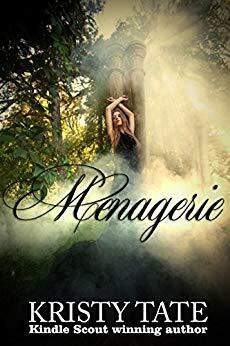 For fantasy fans, I found out that Kristy Tate’s book Menagerie, first in the series, is now FREE. Do you like talking animals, young adult novels, and a dollop of romance? Grab this book now. Everyone talks to animals. Some do it every day, although very few stop to listen for a reply. Lizbet Wood does, and this is just one of the things that set her apart. She really doesn’t understand how different she is until violence shatters her solitary existence. From the moment Declan meets Lizbet, his life is thrown into turmoil. She’s unlike anyone he’s ever met and the creatures she introduces him to will change not only his plans for the future, but everything he believes about life, science, and the animals surrounding him. If you like breathtaking action, mystery, schnauzers, and a hint of romance, then you’ll love this edge-of-your-seat story by USA Today bestselling author, Kristy Tate. 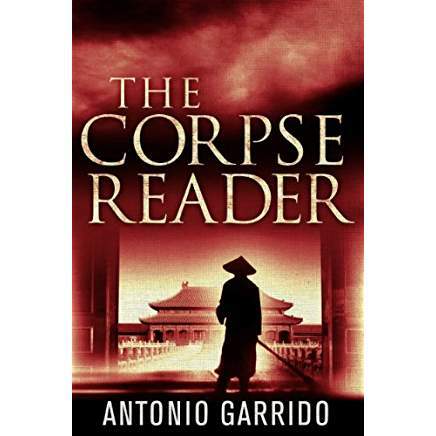 First book is The Corpse Reader, another wonderful historical mystery from AmazonCrossings, this one by Antonio Garrido. I loved the China setting, the forensics, and the surprise twist that kept me reading into the wee hours. For Amazon Prime members, the book is free and the audio version is only $1.99. After his grandfather dies, avid scholar and budding forensic investigator Cí Song begrudgingly gives up his studies to help his family. But when another tragedy strikes, he’s forced to run and also deemed a fugitive. Dishonored, he has no choice but to accept work as a lowly gravedigger, a position that allows him to sharpen his corpse-reading skills. Soon, he can deduce whether a person killed himself—or was murdered. Inspired by Song Cí, considered to be the founding father of CSI-style forensic science, this harrowing novel set during the thirteenth-century Tsong Dynasty draws readers into a multilayered, ingenious plot as disturbing as it is fascinating. And here is my contemporary mystery novella at only 99 cents. Part of the Deluded Detective series, Pam Graff turns detective work when an accident sidelines her career as a high school physics teacher. The problem in Jack Fell Down? She cannot distinguish between reality and hallucinations, and a child’s life hangs in the balance. Pam knows she is the last person to be looking for a lost child. Yet her teacher instincts and the hope that this may reveal what happened to her 17 months ago drive her to find him. With the help of family, students, felons, and a female Elvis impersonator, Pam searches for the boy throughout Southern California. If you like any of these books, I hope you’ll consider leaving a review on Amazon or Good Reads. Reviews really do help the authors and readers. When they find out I’m vegan, friends, family, and medical doctors’ first concern is whether I’m getting enough iron, protein, and vitamin B6. The answer is yes and backed by a pile of medical research. My personal results? My lab tests for those and everything else has been rock solid great. While meat-eating friends my age and twenty years younger talk about weight or high blood pressure or cholesterol or diabetes, I can’t add my own complaints. Doctors usually frown when they see my chart and wonder why I take no pharmaceuticals*. They check my labs and wonder why my numbers are so good. Yep! 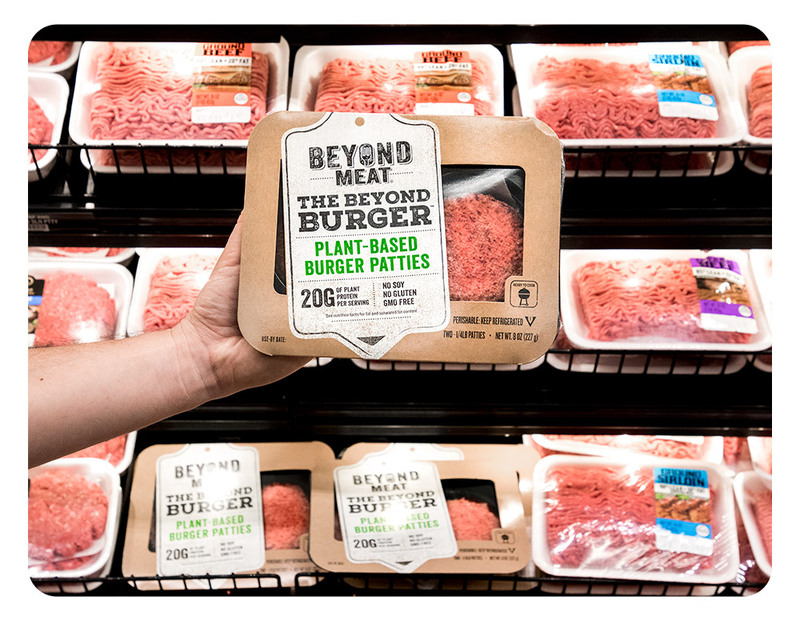 Plant-based, whole foods are what we should all be eating. It’s humane, the number one thing any individual can do to save the planet, it’s healthy, and it’s the way to solve world hunger. Next thing I’m asked–what do you eat? I freeze up with that question, because I have lots of choices and am never sure what to recommend in a sentence or two. Here’s what I ate yesterday. BREAKFAST: Coaches oats with flax and chia seeds, cocoa nibs, raw pumpkin seeds, blueberries, banana, and a splash of maple syrup. Ooh, expensive you say? Not really. Breakfast probably cost a dollar and took minutes to make. Guess what? About 28g of bio-available protein too. LUNCH: A Beyond Meat Beast Slider with horseradish mustard&pickle&basil leaf, color variegated potato salad with Italian spices and vinaigrette, chopped cabbage with a sprinkle of raw pistachios and cantaloupe on butter lettuce for dessert. Protein count? About 18g. DINNER: A quesadilla with nopali corn tortilla with vegan cheese, spinach, red onion and guacamole. Olive and chives hummus dip with orange sweet pepper, rainbow carrots, and celery. Banana ice “cream” for dessert with a vegan gingersnap. About 15 grams of protein. I don’t starve and haven’t been overweight since I gave up meat in 2004. After yesterday’s eating, I weighed a pound less today. 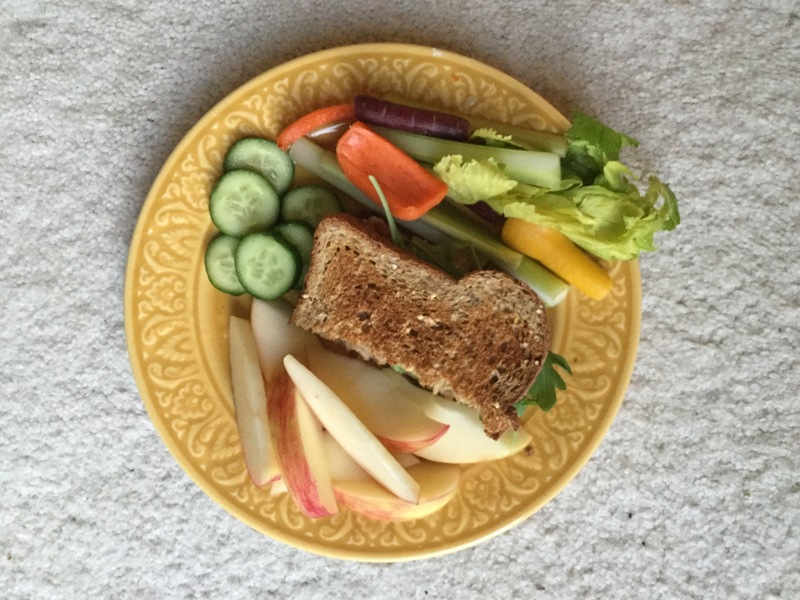 When I switched from vegetarian to vegan, I lost seventeen pounds in six weeks. Most knowledgeable doctors will say that you should be counting fiber, not protein. Who is old enough to remember Weight Watcher’s Fat & Fiber plan? A good cardiologist would agree that a diet that maximizes fiber and minimizes animal fat and processed vegetable oils is the best way to go. Who needs to count calories, fiber, fat or protein if you eat your Dr. Greger’s Daily Dozen? There’s an app for that! Keep it real and keep it simple. I make an herbal iced tea early in the day. After coffee in the morning, I drink iced tea and water throughout the day. 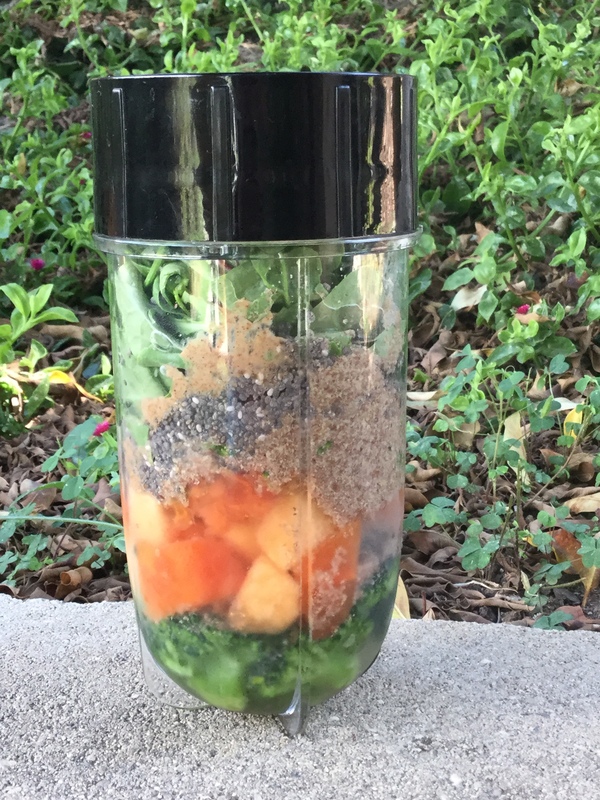 I make power green smoothies often. Next? I’ll be experimenting with Banza chickpea pasta (vegan and gluten free) and cilantro vegan pesto. 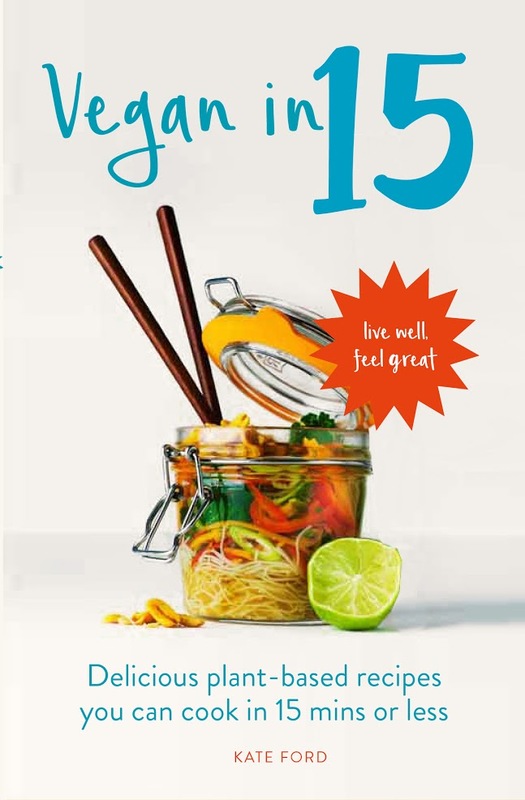 I bought six boxes of the pasta, so will try my summer pasta recipe with it–a lovely chilled salad with oomph. I’m making Easy Peanut Noodles for dinnertonight. Note: Pharmaceutical medicine is valuable for a small portion of our population. It has saved the lives of family and friends and I’m glad that it’s available. For conditions caused by diet? Let’s fix the diet!